Fianna Fáil councillor Frankie Keena has called for John Gorman to receive the highest civic reception possible for his role in getting the soldiers of Jadotville the recognition they deserve. Jadotville was an event that occurred during Ireland’s peacekeeping mission in the Congo in 1961. 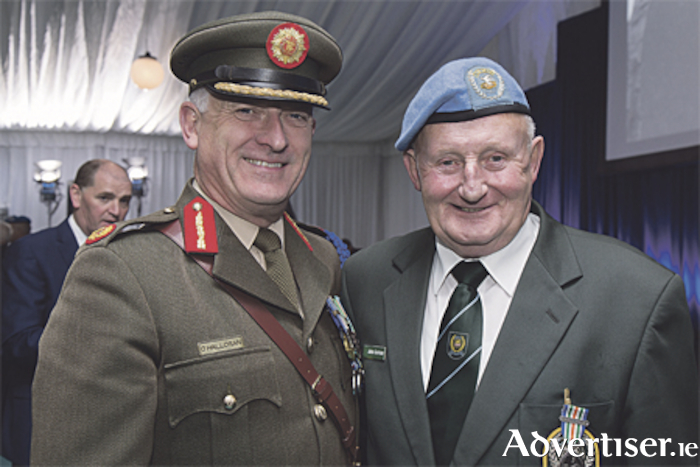 ‘A’ Company of the 35th Infantry Battalion took responsibility for the UN post at Jadotville on September 3. On the morning of September 13, the Company came under attack from a force supporting the breakaway province of Katanga. Despite their courageous resistance and the efforts of 35 Infantry Battalion HQ to provide assistance, A Company was taken into captivity on September 17, and remained there until released in late October. On returning to Ireland, the heroic soldiers were met with an atmosphere of rejection, with many tagging them as cowards for their surrender. On the 55th anniversary of the siege last year, Minister with Responsibility for Defence, Deputy Paul Kehoe, once and for all dispelled such notions, presenting a Unit Citation to the Company recognising their heroics. This was followed by the issuing of medals of bravery to the surviving soldiers and to the family’s of those who have died in the intervening period. The person at the forefront of the campaign to clear the names of the soldiers and have their bravery recognised was local man John Gorman. Addressing April’s meeting of the Athlone Municipal District last Tuesday, Cllr Keena said the recognition given to the soldiers resulted from Mr Gorman’s relentless pursuit of justice. While acknowledging that all of the Jadotville soldiers are heroes, Cllr Keena said Mr Gorman deserves special recognition for his refusal to take no for an answer. Cllr Keena said there is currently a petition online with more than 1,500 signatures calling for John Gorman to be receive recognition for his efforts. The matter has been referred to a sub committee for discussion.